Here is my take on the Chrimera from Resistance 3. One of my favourite first person shooters. Recently played the trilogy back to back. The third is incredible, felt like it mixed all my favourite genres and games together! Had Ratchet and clank style guns, Fallout 3/ Half life 2 atmosphere. Below are some doodles from when creating this. I wanted him to look as fiendish as I could but still give him that scary alien look. Hopefully this with get turned into a sculpt. 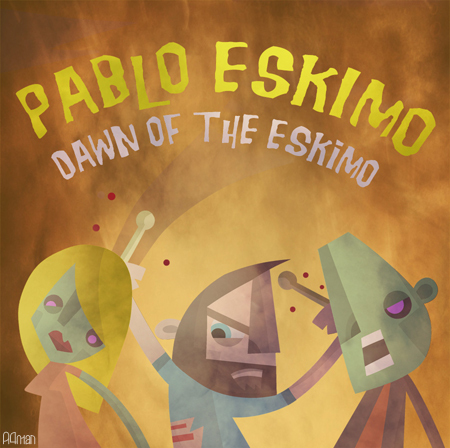 I have been hiding away creating designs for Pablo Eskimo’s new album. 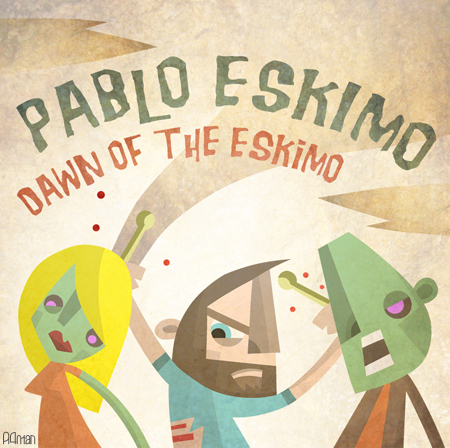 After suggesting the Zombie theme for the cover the band decided to call their new album ‘Dawn of the Eskimo’. Pretty awesome! Above are some designs that didn’t get used. Once the album is launched I will post the final products.